WASHINGTON – Classroom teachers report that during this political campaign season an alarming number of students have been mirroring Donald Trump’s bullying, disrespectful behavior. They also report a rising level of fear and anxiety among children whose races, religions or nationalities have been Trump targets. The teachers are calling it the “Trump effect,” National Education Association (NEA) President Lily Eskelsen García said in a media call yesterday. “The harm the Trump effect is doing to our students is bigger than politics,” she stressed. She explained that now is a very appropriate time for a discussion of the harm Trump is doing to children because October is National Bullying Prevention Month. At the same time the media call was taking place, educators held press events in Florida, Iowa, Michigan, Minnesota Nevada, New Hampshire, North Carolina, Ohio and Pennsylvania to share firsthand accounts of the Trump effect in their classrooms. 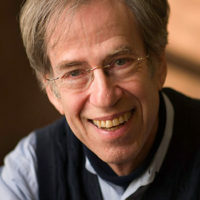 NEA represents some three million teachers, professors and other professionals working in or retired from U.S. schools and institutions of higher learning. It is both the nation’s largest union and largest professional employees organization. 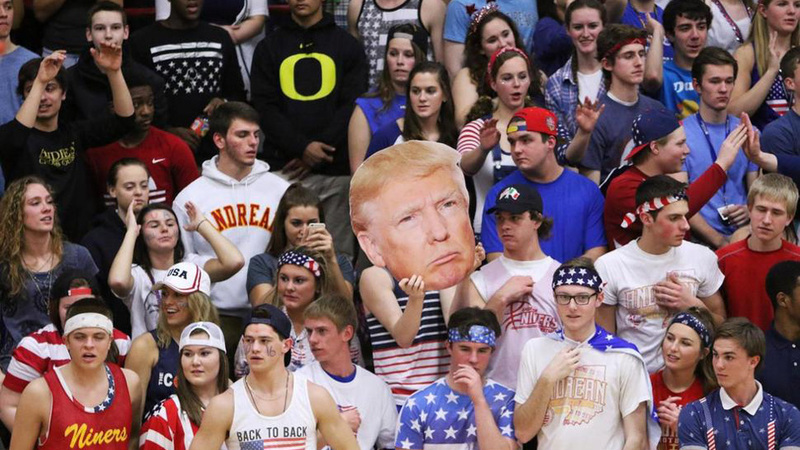 Several months ago in Iowa, white students rooting for their high school basketball team held up pictures of Trump and yelled “build the wall” to taunt Latino students playing on the opposing team. The same thing happened in Indiana. These are not isolated cases of bigotry. The Southern Poverty Law Center has published a survey of approximately 2,000 K-12 teachers called The Trump Effect: The Impact of the Presidential Campaign on Our Nation’s Schools. Among the teachers asked, more than one-third have observed an increase in anti-Muslim or anti-immigrant sentiment and more than half said they’ve seen an increase in uncivil political discourse. Furthermore, over two-thirds reported that students – mainly immigrants, children of immigrants and Muslims – have expressed concerns or fears about what might happen to them or their families if Trump wins. The Trump effect is also causing an alarming rise in tensions and conflicts between students whose ethnic, religious or national backgrounds differ from each other. To accompany the media call, several teachers sent written statements. As educators, President Eskelsen García says, NEA members are “highly skilled at dealing with bullying in the classroom” and remaining non-partisan. Bock illustrated Eskelsen García’s point. “When students ask me who I’m going to vote for,” she said, “I tell them that’s not appropriate to discuss in the classroom. But outside the classroom, NEA members do not have to be nonpartisan. As union members and private citizens concerned about education and the future of students, “NEA members feel deeply that Trump must never be elected President” because he might tear the country apart, stated Eskelsen García. What’s at stake is the future, she said. “Donald Trump is reminding us all just how unfit he is to be the next president,” Eskelsen García continued. “His actions set a horrible example for children as he makes harassment and shaming of a woman the central focus of his campaign. This is not the type of role model that America’s children need.